The Green Industry is one of the fastest growing sectors in the United States. The Rodman Law Group has been providing legal counsel to the cannabis industry since 2014 and we offer cannabis legal services to clients throughout the United States, Canada, and Europe. Several states have authorized the commercial sale of recreational marijuana and many more have permitted the sale of medical marijuana. The regulatory structures can vary widely from state to state, but they are all similar in one way: every state has enacted numerous complex and comprehensive regulatory requirements. At The Rodman Law Group, our skilled and knowledgeable business, intellectual property, regulatory, and securities attorneys have helped entrepreneurs navigate and master the complex commercial cannabis regulatory framework. To obtain a license to run a successful and compliant cannabis facility, you must first complete a plethora of registration paperwork and submit it, under oath, to the appropriate licensing authorities. Our attorneys can help you pass this high barrier to entry. Along with the application, plans and specifications for the proposed facility must also be submitted. After the application is received, the licensing authorities may schedule a hearing and issue public notice of the hearing as required by law. The issues that are raised by the licensing authorities may include zoning, distance requirements, ownership verification, background checks, source of funds documentation, and many other seemingly unrelated information requests. Our attorneys have navigated these issues countless times in numerous jurisdictions. There are other regulatory issues that our firm can help you and your business to comply with. For instance, there are strict rules regarding cultivation and inventory, as well as labeling and record-keeping requirements. Additionally, there are minimum standards for the building in which the facility is located, all cannabis must be securely grown, stored, weighed, displayed and sold, and, all entrances and exits to the secured area must be clearly and visibly labeled. Penalties for noncompliance with your state’s marijuana regulations can be harsh and can put your business in jeopardy. Depending on the severity of the offense, penalties can include an administrative hearing, a fine, loss of licensure, or the closure of the facility. 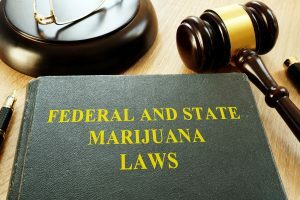 Additionally, despite many statements to the contrary, the federal government can renew its efforts to prosecute commercial marijuana businesses. It’s more important now than ever to make sure that you comply with your state’s cannabis laws. Failure to do so may make your business a more enticing target for the federal government. Every state that has some form of legalized marijuana places high regulatory burdens on prospective owners, operators and employees. The Rodman Law Group has been at the forefront of commercial cannabis regulatory compliance since its foundation. The Great Green Rush of the 21st century! Whether you are interested in starting, purchasing, or investing in, a cannabis business in Colorado, a nationwide CBD or other non-THC cannabinoid business, or an international Industrial Hemp empire, we are here to offer insight, guidance, legal services, and industry connections. Contact us today to schedule a consultation so we can learn more about your business plans and assess the best path forward!